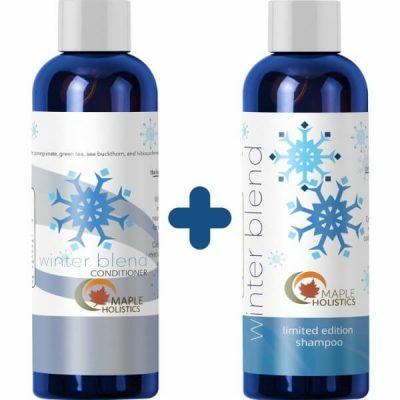 Feel fresh with this winter blend of Maple Holistics Natural Mint Shampoo and Conditioner Set. It gives hair and scalp a cooling sensation while making hair look healthy and shiny. The shampoo is a gentle cleanser that removes the buildup of dirt, oil, and flakes on the scalp. Natural Mint Conditioner, on the other hand, replenishes the moisture that keeps hair soft and silky smooth. This set is from one of the most popular hair care product brands – Neutrogena. Feel fresh even on a warm sunny day by using this set of shampoo and conditioner with a natural minty effect. It helps revive hair to make it resilient against damages. 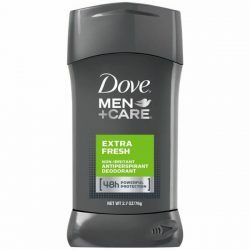 The shampoo has a gentle formula that treats dandruff and hair loss. It improves hair as well, to make it thicker and more resilient against damage. Maple Holistics Natural Mint Conditioner replenishes moisture and nourishment to hair and scalp. With the essential oils that it contains, it helps hydrate hair to give it long-lasting moisture. Repair dry and damaged hair. Use it to control split-ends and frizziness of hair. 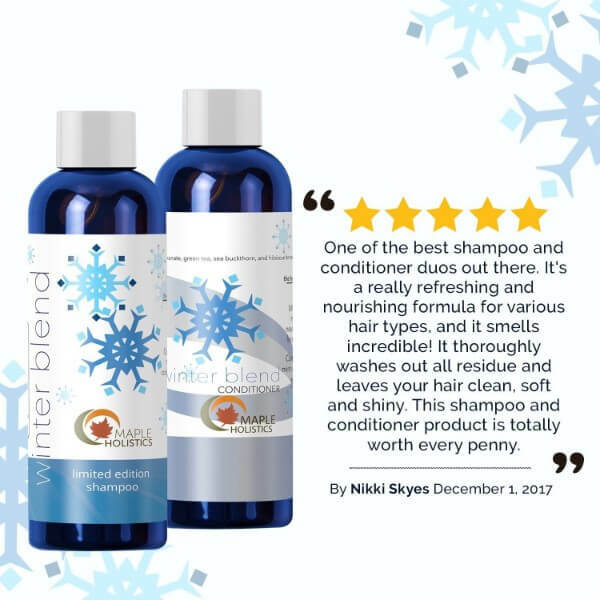 The formula for the shampoo and conditioner contain essential oils that have nourishing and therapeutic properties for hair. These essential oils have nourishing and therapeutic effects that make hair stronger and healthier. 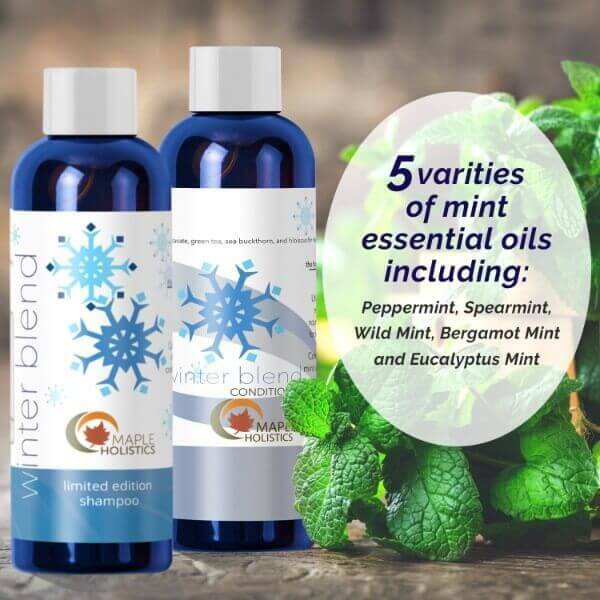 The minty and camphorous essential oils give the products the ability to leave scalp feeling fresh. Each product contains essential oils that are good for the hair. 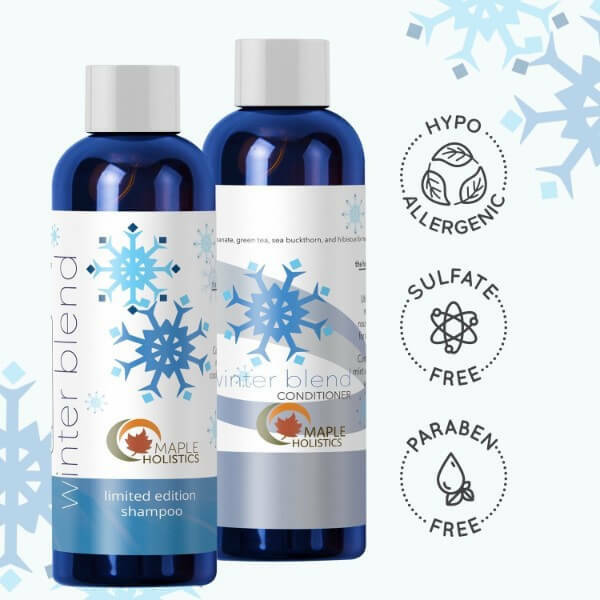 The shampoo has jojoba oil and botanical keratin to make hair stronger while Maple Holistics winter blend conditioner has argan oil. The essential oils restore the strength and beauty of healthy hair. Maple Holistics Natural Mind Shampoo and Conditioner Set helps treat dandruff and leaves the scalp fresh and free from any flakes. 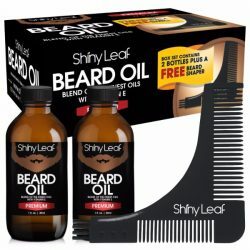 They make hair feel silky smooth to the touch as well. 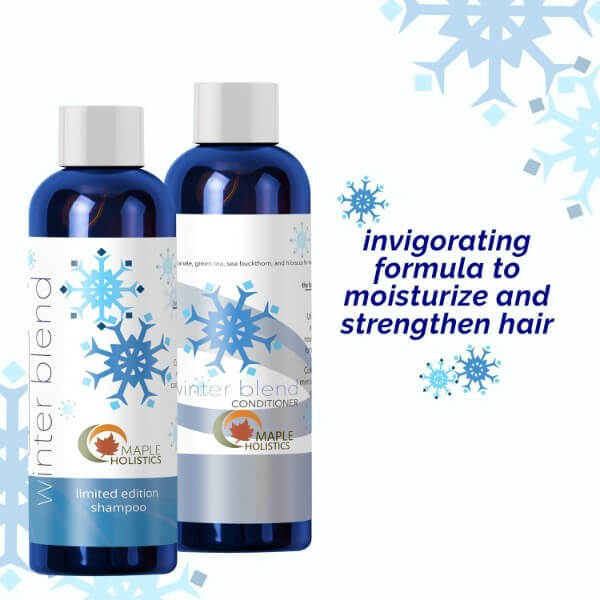 Try the products to experience the cooling effects of the products on hair and scalp. Repairs hair damage such as split ends and hair fall. 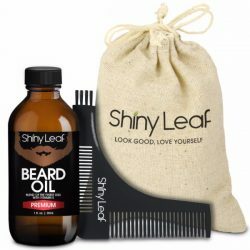 Leaves hair shiny and silky smooth. Contains essential oils that restore hair health. Strengthens hair to improve their resilience against damage. Natural Mint Shampoo cleanses hair effectively to clear any dirt on scalp and hair. Maple Holistics Natural Mint Conditioner moisturizes hair. Using the products prevent dandruff and other hair concerns. Wet hair from roots to tips. Use a dime-sized amount of shampoo. Put on hands and create a lather. Apply to scalp. Massage from roots to tips. Wash away the foam with water. Wring out excess water on hair. Put enough conditioner on hands to cover hair from midlength to the tips. Massage hair for 2-3 minutes. Rinse using warm water. Use these products daily for great results. 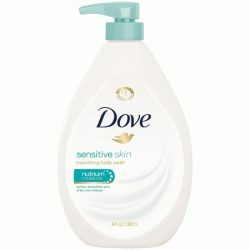 Shampoo: Aqua, Sodium Cocoyl Isethionate, Cocamidopropyl Betaine, Sodium Lauroamphoacetate, Sodium Methyl Cocoyl Taurate, Sodium Lauryl Glucoside Carboxylate, Lauryl Glucoside, Sodium Cocoyl Glutamate, Acrylates Copolymer, Coco-Glucoside, Glyceryl Oleate, Caprylhydroxamic Acid, Glyceryl Caprylate, Glycerin, Sodium PCA, D-Panthenol, Simmondia chinensis (Jojoba) Oil, Botanical Keratin, Peppermint (Mentha piperita) Oil, Spearmint (Mentha spicata) Oil, Wild Mint (Mentha arvensis) Oil, Bergamot Mint (Mentha citrata) Oil, Eucalyptus Mint (Eucalyptus polybractea) Oil.